…and then there are hard suits. 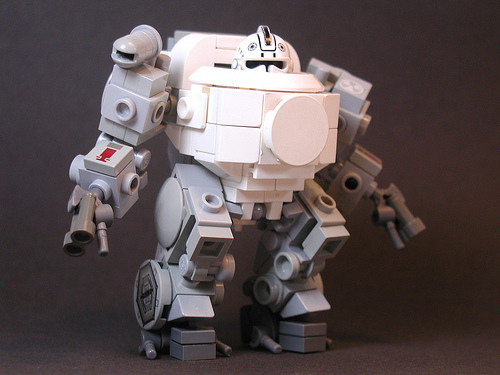 Lord Dane takes the chunkification of hardsuits to new heights with this LEGO Star Wars suit operated by a clone trooper. The legs are wholly unique, while fitting in nicely to the Imperial aesthetic. This is a very nice hardsuit. I love the chunkiness of it. The colors go well and the leg angles are fantastic. I must know how he built this. I spent an evening fiddling with my bits box just trying to duplicate the torso and slowly going mad. Even a picture from a different angle would help. Curse you Lord Dane, curse you and your incredible building skills.